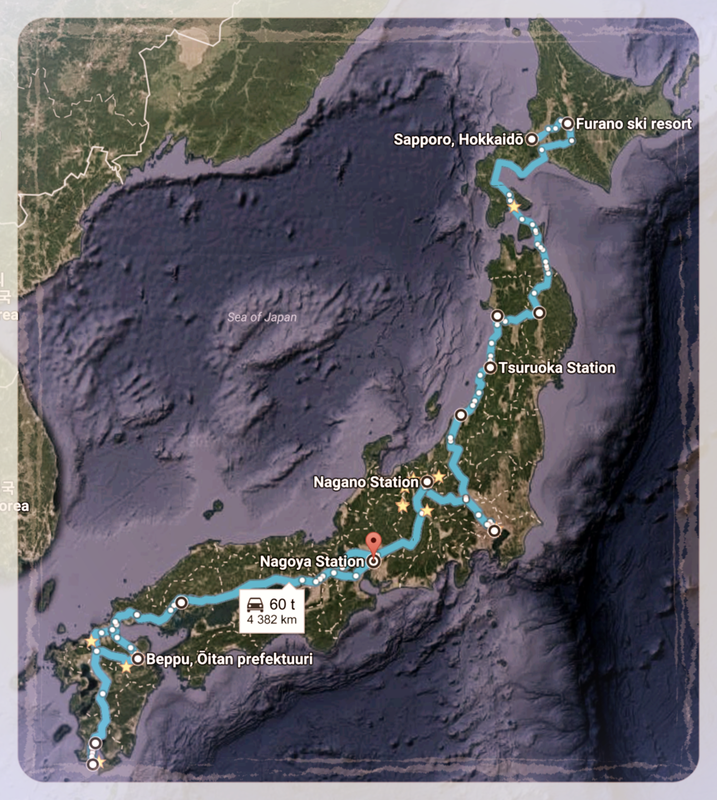 Last month we got to fulfill our dream trip to Japan with Liisa K, the great railroad adventure across the Japan. All the way from the powdery ski slopes of Hokkaido to the summit of a sleeping volcano on the southern tip of the Kyushu-island. And thanks to the Japan Rail Pass and the efficient train transportation system of Japan the adventure was stress free. We visited Japan for the first time 4 years ago when we stayed one week in Tokyo and used one week with Japan Rail Pass and visited Fukushima, Sendai, Kyoto and Osaka. When our Finnair flight took of the Narita airport and headed back to Helsinki we decided that we must come back and travel across the whole Japan with the 3 week rail pass. And last month we did that! The key element to our adventure was the Japan Rail Pass. The Japan rail pass is a unlimited ticket to the almost every train in Japan and it is sold only for the tourists visiting Japan. You have to buy the Rail Pass before traveling to the Japan and in Japan you have to activate and trade the voucher to the cadboard pass. 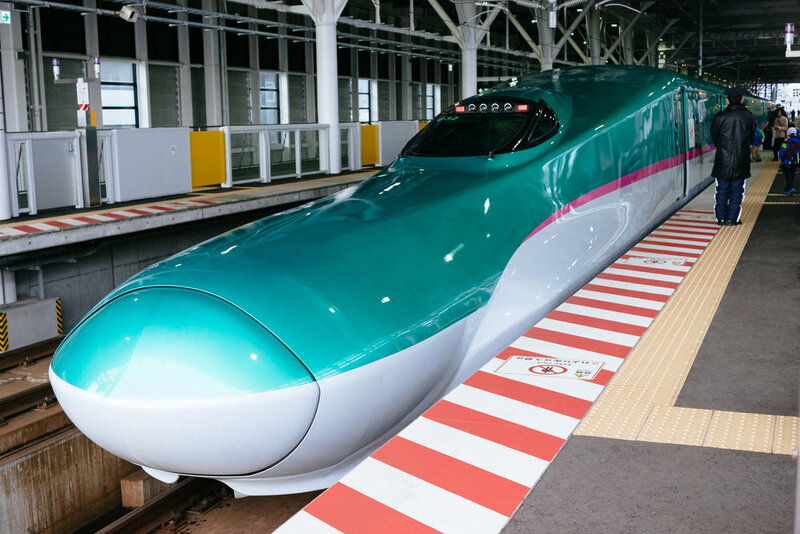 With the Rail Pass you can book seats and travel with the Shinkansen (The bullet train), Limited Express trains, Express trains, local trains and with the Yamanote-line around Tokyo. So basically, the Pass is eligible for all the trains excluding couple premium shinkansen lines and privately operated railroad lines, check all the details from the seller of the pass. We booked seats for the most of our train journeys so we didn’t have to stress about getting sets together or if there was room in the train. For most of our journey it was easy to get seats for two about 30 minutes before departure but be aware that around the tourist crowded areas Kyoto, Osaka, Kobe and Hiroshima you don’t necessarily get tickets to the train you want or you must book them well before taking the train. 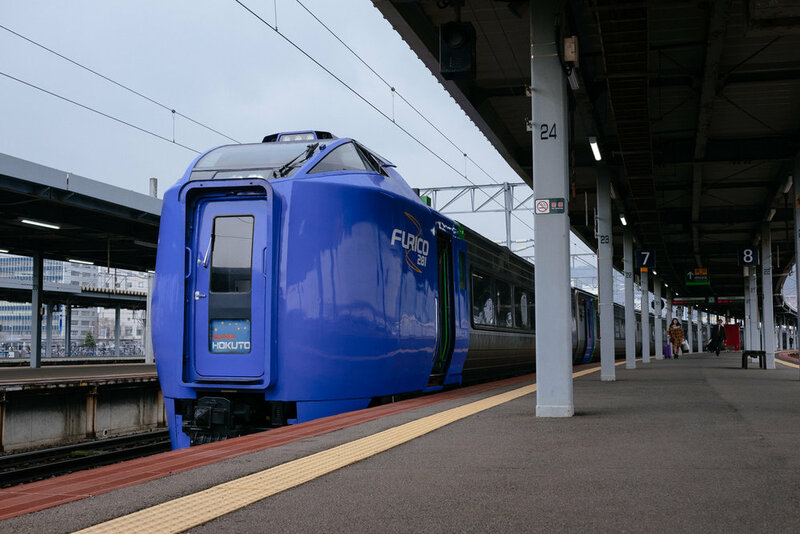 We flew from Helsinki to Sapporo via Seoul and spent one night in Sapporo and headed from there to Furano with limited express train and with local train. Furano is a small idyllic town in the middle of Hokkaido. On the west side of the town there is two ski resorts and as an avid snowboarder I just had to rent a snowboard and spent one day in the slopes. Furano area is well known for the powdery slopes. From Furano we headed to Hakodate, a town in the southern tip of Hokkaido an also the end/start point of the Hokkaido Shinkansen bullet train-line. From Hakodate, we headed to Tsuruoka via Akita, the costal railroad from Akita to Tsuruoka was a stress free local train with nice views. When we were in Tsuruoka we made last minute change to our plans and decided to head to Tokyo for one day so we could go to the Finnish Embassy and vote in the municipal elections of Finland. After voting inside the Embassy we headed from the Roppongi to Ebisu and from there to Shinjuku and after quick stroll we headed to Akihabara for “quick” stop at the Yodobashi camera. From Tokyo our trip continued to Nagano, best known for the winter Olympics 1998. Nagano was nice small (by Japanese standards) city in the middle of the Japanese alps, from Nagano you can reach the ski slopes around the valley. We did a day trip to Matsumoto to see the Matsumoto samurai castle. Remember to bring warm socks if you are visiting the castle on cold day! After Nagano we had long travel day from Nagano to Hiroshima. Hiroshima was a beautiful city with full of parks, visit to the peace memorial park is a must. From the Hiroshima we headed to the Kyushu, an island South to the main island of Japan. Our destinastion was Kagoshima, a city located next to a very active volcano of Sakurajima. You can take ferry to the volcano island for just couple hundred yen. When we were on the ferry we saw the Sakurajima erupt in front of our eyes, event that is not that rare that you would think. When the cloud of volcanic ash just kept growing our ferry arrived at the port on Sakurajima. In Sakurajima you can walk around the lava trail and dip your feet to an Ashiyu (foot onsen). From Kagoshima we continued to the southern tip of Kyushu, a beach resort called Ibusuki and after dropping our bags at ryokan we quickly headed to Kaimondake where is a volcano mountain that you can climb top on. The Kaimondake is 924 meters above sea level and from the train station the ascent by foot is around 800meters. The Kaimondake was nice half day trip that I can highly recommend, I will write a separate post about our climb in the future! The Ibusuki was quiet beach resort town and we had a nice room with balcony facing the ocean even though we booked room without the sea view. Ibusuki is best known for the warm sand baths that you can take on the beach. From Ibusuki we headed to Beppu, a town best known for the hot springs, so called hells. Popular thing to do in the Beppu is to walk around all eight hells of Beppu, all with different characters. Some are blue, some are red and one even had crocodiles! From Beppu we took a scenic train called Yufuin no mori and stopped for couple hours in Yufuin and then we started our journey to Nagoya where our flight back to Helsinki. First one night at Fukuoka where we stayed one night and celebrated Hanami (Cherry blossom) with the locals and then headed to Nagoya where we did souvenir shopping and made a quick day trip to Kyoto. When we sat down on the airplane heading back to Helsinki we were exhausted but happy after railing through Japan, and of course we started planning the next trip to Japan, Okinawa is still on the bucket list.